This multi-part series of blog posts will focus on how to develop psychic abilities. The first part of this series will focus on the various types of abilities that exist. We need to know what we’re talking about before we talk about how to develop them! Next, I’ll discuss practical uses for various abilities. Why develop these abilities unless you know why you’re developing them? 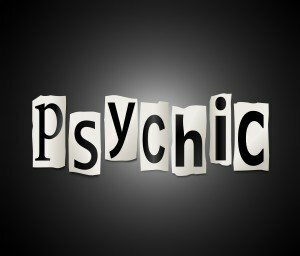 Knowing why you want to develop a particular psychic ability will give you the motivation to stick with the exercises that will allow you to master it. Finally, I’ll focus on how to develop and improve your psychic abilities. Different abilities require different approaches. 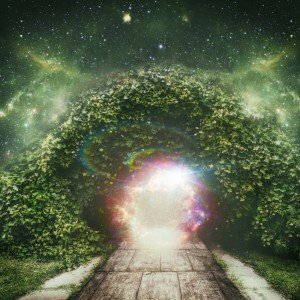 So I’ll discuss what I believe are the best ways to develop them. Automatic writing: The psychic ability to allow the non-physical consciousness to express itself through the physical act of writing. It’s the act of allowing a spirit or the subconscious mind to take over and communicate through the pen, without the use of the conscious or rational mind. It’s considered best to use a pen or pencil rather than a typewriter to do this because there is a stronger connection to the instrument (the pen) that the spirit is communicating through. The pen becomes the medium of physical communication of the spirit, unconscious mind or other non-physical entity that is doing the ‘authoring’. Clairaudience: Involves the ability to hear events, people and other sounds from non-physical sources. Obtaining messages from your inner voice is another example of this ability. Sometimes people have too much mental noise to listen to their inner voice. This distraction can be remedied through meditation, relaxation exercises, deep breathing and other beneficial techniques to calm the mind and reduce the mental chatter that prevents us from listening. However, I’d caution you about always listening to the voice in your head, as sometimes that inner voice and those thoughts may not be in your best interests. We discuss this in greater depth in the ‘good angels’ and ‘bad angels’ section of Psychic Smarts™. Clairsensitivity: This invoices the ability to be sensitive to environmental energy, be it animate or inanimate entities, or non-physical entities. This involves the ability to perceive emotions, energy and even messages through touch or vibration. Everyone has this ability to some extent. When someone comes into a room and you can feel their energy, be it positive or negative, you are using this ability. People with greater clairsensitivity can perceive energy and messages from clothing, a dwelling or even spirits.